This is one of just a handful of properties on this superb development that has the privileged position of being perched upon the cliff top facing directly out to sea. Madrugada provides the idyllic and much desired holiday 'must have' of uninterrupted sea views across the pool terrace and lawns, a very rare treat indeed. If the lure of the sea tempts you away from poolside living then a delightful sandy cove, some 100m below, can be reached by nearby steps (care should be taken with small children). 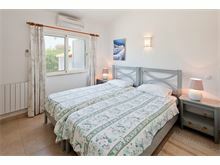 The interior is furnished and equipped to a high standard including air conditioning in the bedrooms. The Algarve Clube Atlantico facilities are all within an easy walk. 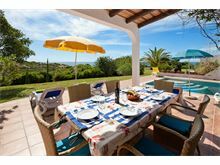 Approximately 4.5 kms from the centre of Carvoeiro (serviced by bus and tourist tram) nearest supermarket approximately 900m and 100m to the nearest beach (down steps). Well furnished lounge/dining room with TV, DVD and stereo, well equipped kitchen with dishwasher, and microwave, 1 double bedroom with shower room en suite, 1 twin bedroom with en suite shower room and 1 twin bedroom with separate bathroom. Maid service 5 times per week, laundry by arrangement. Pool heating, air conditioning and villa heating are available at extra cost, if required. 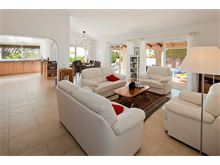 A very well organised villa - fantastic location, peaceful area yet quite close to all necessary amenities. The people who came to clean, garden and clean the pool were very discreet and very amicable. The photos definitely don't do the villa any justice - we all had a fantastic holiday and really didn't want to come home. 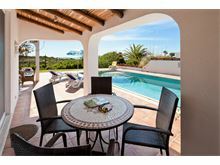 Affinity Villas representatives from the UK and in Portugal were always extremely helpful. Would definitely book again and recommend to friends. 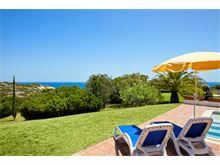 Great location in a quiet area on the edge of a cliff with superb sea views and 5 minute walk down to a secluded beach. Villa was clean and the kitchen well stocked with equipment and utensils. Would recommend it for a relaxing family holiday. 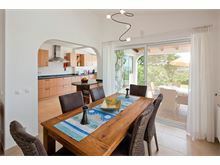 The villa exceeded our expectations and the descriptions on the website from Affinity Villas were accurate and honest. 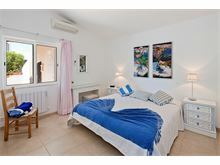 We found it a very sociable layout, bedrooms are quiet and well separated, living space is central and adaptable. 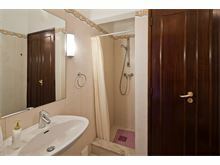 The condition of the villa was good and inline with the images. Every detail of the villa was well thought out and we had a very comfortable stay. 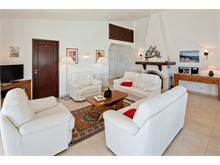 My partner is quite sensitive to allergies / dust mites, the villa was clean and we had no issues during our stay. I mention this because we usually only experience this kind of cleanliness in 5* hotels, many 4* hotels often let us down. It was a major plus for us and really helped us relax. Location is excellent, you do need a hire car although not to go to the beach. Very peaceful location, the coastal path is a full 10 metres vertically below the garden so you never hear anything from anyone. A short drive to the family friendly town of Carvoeiro, with plenty of restaurants. There's 3 big supermarkets within 5-10 mins drive of the villa too (including Intermarche, Aldi). The property is located in a quiet and pleasant area, very close to the small local beach which is stunning and good for swimming in - it is just a short walk away down a lot of steps. Other nearby beaches are also stunning (Praia da Marinha) The view from the house and garden was lovely despite views of the sea partly hidden by shrubs. 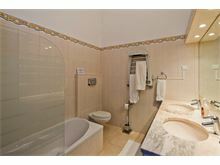 The property itself was a pleasant surprise - nicer than the pictures suggested. We would recommend a car for shopping - the nearest shop is a 20-30 minute walk away. Madrugada is a very nice house in a lovely location. It won't disappoint. 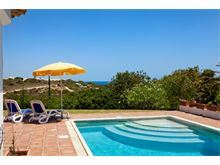 Casa Madrugada was perfect - comfortable, fantastic swimming pool, outdoor dining and barbecue with amazing views. 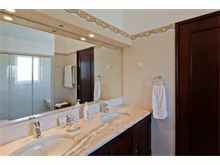 The villa was clean and spacious for 4 adults and 1 child. Location was beautiful and peaceful. Car hire isn't essential as the train/team gets you into town but we found it helpful. Fruit stand was open daily in the car park to the beach (just one house down), and the local supermarket at Rocha Brava was very easy to walk to.The beach was a steep but quick walk (less than 100m), and it was gorgeous. We were very sad to leave and can't wait to return! 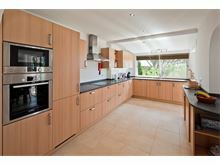 Good range of kitchen and plenty of plastic for the poolside. Great location. Fabulous rooms. Cant fault this villa at all.